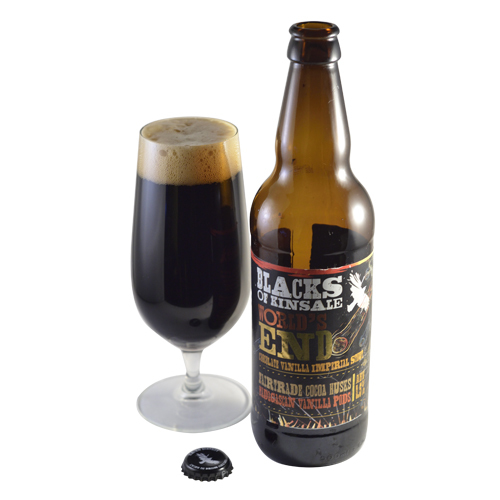 Cocoa-bean husks and Madagascan vanilla pods are added to this beer’s imperial stout base. A beer labeled “chocolate vanilla stout” screams luxury—rich, silky creaminess, perhaps even a pudding in a glass. Well, this Irish beer doesn’t disappoint in flavor. It’s brimful of velvety milk chocolate and has a coffee note suggestive of espresso without being as bitter. Boldness continues into the dry finish, with deep chocolate and coffee eventually giving way to hop bitterness. Crucially, however, the body and texture are not too full and thick, which is a bonus for beer connoisseurs but perhaps a minor disappointment to those looking to enjoy this as a dessert in its own right. Husband-and-wife team Sam and Maudeline Black launched their brewery in 2013 as part of the fast-moving Irish beer scene. Their aim is to “escape the mundane of the mass market,” and they have certainly broken free from the traditional idea of Irish stout. This is a chocolate vanilla imperial stout that would have old Arthur Guinness spinning in his tomb. As the label promises, the deep brown-black beer has a rich and inviting aroma of cocoa and vanilla with creamy grain and gentle, spicy hops. It’s bittersweet on the palate with creamy malt and cocoa dominating, but hops start to build. The finish lingers, coating the back of the throat with delicious flavors of roasted malt, chocolate, vanilla and spicy hops. Memorable.